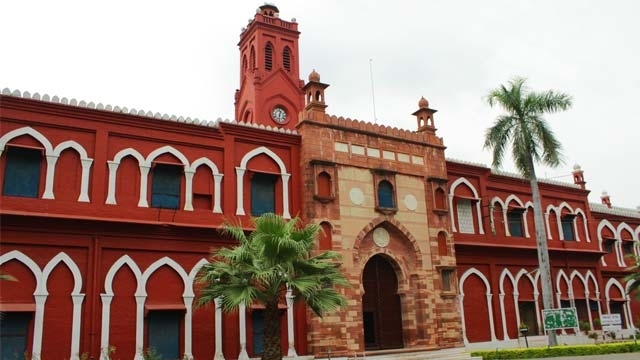 Normalcy at the historic Aligarh Muslim University (AMU) is yet to be restored. Like yours, my heart also trembles at the latest bolt of lightning that has struck AMU. Around 14 students, including the former and current office-bearers of AMU Students’ Union, have been booked under sedition charges. In the FIR filed on Wednesday, it is alleged that they had raised anti-national slogans on campus. The charges against them appear unsubstantiated. The complainant, MukeshLodhi, belongs to a saffron outfit. He is the Aligarh district president of BhartiyaJantaYuvaMorcha, an outfit affiliated to the RSS and the BJP. Similarly, all the witnesses in the JNU controversy are also from saffron groups. Ever since the BJP government came to power in 2014, it has used the tag of ‘anti-national’ to silence any voice of dissent. Like AMU, JNU students and teachers too have been branded as “anti-nationals”, “Jinnah-supporters” and “Pakistani supporters”. The Hindutva forces, backed up by the communal media, keep spewing venom against the so-called “anti-nationals” but their whole team has never produced any evidence in public or in court to prove the charges. In fact he was not asking a question but laying a trap for me. He thought that in JNU people would have celebrated the attack. Shameful, isn’t it? He did not spend a minute to check the fact. The Left organisations including the CPI, the CPM, the CPI-ML, JNU Students Union did condemn the attack in strong words. What JNU has experienced in the last three years, AMU has been more or less experiencing for so many years. This has to do with the tag ‘Muslim’ with AMU. Not only the communal forces but also the “good” Sanghi in the secular parties have often demonised AMU as “anti-national”. But the study of history in an impartial way does not uphold such baseless charges. Established in the late 19th century by Sir Syed Ahmad Khan, AMU tried to remove Muslims’ educational backwardness and it succeeded to a large extent. Though, the term Muslim was attached to AMU from its inception, its doors have never been closed on non-Muslims. Several distinguished students and teachers who embellished this university were not Muslims by faith. As far as political leaning is concerned, AMU has been evolving. While the formative years of AMU saw its intellectuals showing reluctance towards agitational politics, the arrival of Gandhi in the 1920s and 1930s, did not leave it unaffected. AMU was a favourite place for Gandhi and he found several friends from there during the Khilafat Movement. Even the formation of JamiaMilliaIslamia, following the Congress’ call for establishment of separate educational institute based on national education policy, was carried out by the students of AMU. The charge against AMU that it provided a “base” to the pro-Pakistan movement is a half-truth. True, the Muslim League was able to draw a group of supporters from the AMU campus in the 1940s but there were also others who were opposed to the League. That is why we cannot paint the whole university with the same brush. Those who lay the charges that AMU supported League’s demand of Pakistan should look at the history holistically. Is it not a fact that the Congress, the League and the Hindu Mahasabha worked together till the late 1930s? Is it not true that even the Congress leadership was divided over its relation with the League and the demand of Pakistan? Is it not true that Patel, Nehru and laterGandhi accepted the demand of Pakistan to the heartbreak of Maulana Azad? Those who create the bogey of anti-nationalism and separatism and then link it to AMU, should never forget that Partition did not take place because a group from AMU supported the League. The historical condition was developing rather worsening so fast in the late 1930s and 1940s that without accepting a federal structure and sharing power between Hindus and Muslims, no one could have averted the division of the country. If power is not shared and minority voices are not accommodated, it would lead to instability as we saw in the late 1940s. It was the same reason that the division of the country could not be stopped despite the fact that a large group of Muslims in the Sub-Continent led by Maulana Azad opposed it tooth and nail. The failure of the Congress to accommodate the demands of the League, as some of them were seen as “high” and “disportionate” to the legitimate share of Muslims, was strong reason for the division of the country. Equating the birth of Pakistan and idea of separatism with AMU do not stand the test of historical reality. The communal narrative often hides the fact that pre and post-Partition, AMU has been a stronghold of the Left. A galaxy of poets, lyricists, novelists, writers, historians and social scientists with a clear Left leaning have all come from AMU. Particularly in the field of Urdu Shayari and medieval history, the university has got international fame and it has made India feel proud world over. In the field of sciences, the university has produced among the best engineers and doctors. Some of them have gone abroad, particularly in the West Asia, Europe and the USA and won both remittance and goodwill for the country. At a time when the educational status of Muslims has become worse than Dalits on several important parameters, the role of AMU assumes an even greater significance and relevance. The Sachar Report and the Ranganath Mishra Report, both of them being constituted by the Union Government, have asked the establishment to urgently work for educational uplift of Muslims. In order to do this, the government should have given more funds and facilities to AMU and other minority institutes. In fact, the need of the hour is to open more and more AMUs in several parts of the country, particularly in those areas where Muslim population is concentrated. Instead of doing this, the ruling regime is doing politics. We should not forget that the complainant belongs to the youth-wing of the BJP that is in power in both UP and the Centre. While the BJP is using the plank of anti-nationalism, the earlier regimes demonised AMU as being ‘fundamentalist’. Note that the controversy over the minority status to AMU has a long history, predating the Modi-Yogi regime.